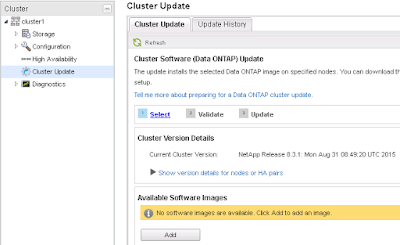 In the following post I’ll review the methods and essential commands for doing an upgrade from Clustered Data ONTAP 8.3.1. 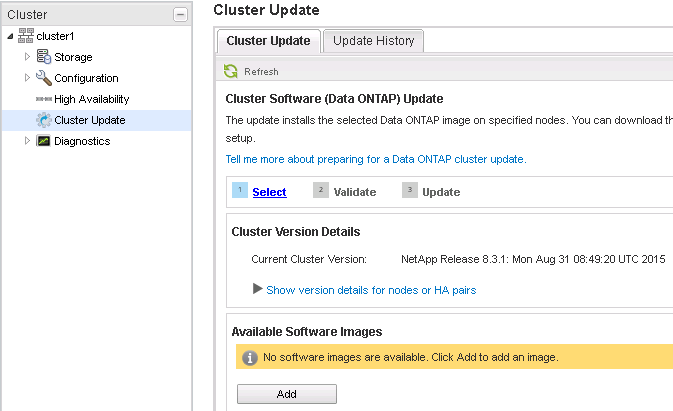 Specifically, we’re going to Clustered Data ONTAP 8.3.2P5 in the examples below. Note: In real world situations consult Upgrade Advisor from AutoSupport. In the lab, I have a HA-pair running 8.3.1. The above triggers a “software get” on each node in the cluster. Once the validation has completed, review any warnings, and when ready to proceed, continue. Wait until the node is waiting for giveback. Note: The below are taken from an 8.3.2 system.